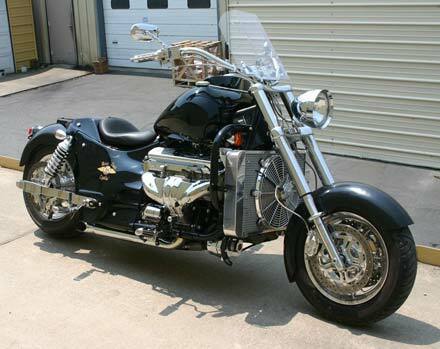 The most awesome American-made motor cycle in the world. Street legal in New Zealand and ready to ride. 355hp 350chev. ZZ4 engine Fast Burner alloy heads roller (hydraulic) cam, 750 Edelbrock carb, 2 speed auto with reverse, kevlar (gates polychain) belt final drive, alloy radiator, chrome self switching fan, separate transmission cooler, billet valve covers, radiator cap, chrome 100amp alternator, full instrumentation (auto meter gauges) dash inserts (chrome) electronic speedo. New LED Display. 32 litre tank (300km range). Wire Looms standard on all small blocks. New round guards front and rear. New style headlights. 5 spoke Mirage wheels. Avon tyres 130/90x16 front 230/50x15 rear 12.6 diagonally floating brembo rotors with matching roto hats. Twin front and single rear Brembo 4 pot calipers. 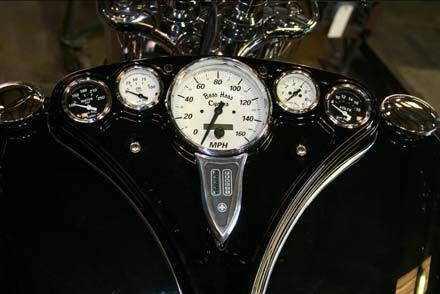 stainless steel brake hoses and adjustable rider and passenger footrests. 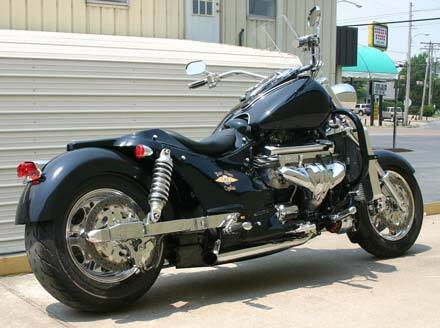 Passenger back rest, drivers back rest, carrier, reach bars quick release screen. New lower Rider's seat. Underseat storage compartment, (9 ltrs) inverted front forks (adjustable), QA1 custom developed after market back shocks (specifically designed for NZ conditions giving softer ride and handling improvement over factory units) fully adjustable, dual shorty exhausts, chrome V8 tail light bezel, a beautiful bike with low low KMs available for test rides and sale. These machines are absolutely superb to ride. 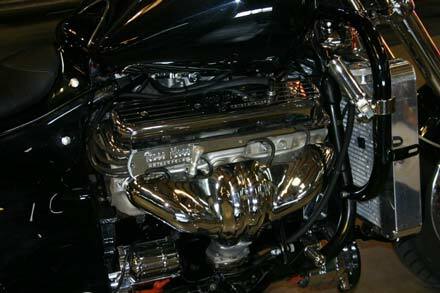 The ultimate touring / cruiser class motor cycle, with performance you won't believe. Based on current exchange rates (NZ$1 = US$0.70). Subject to change. Please enquire for price. We can supply second hand bikes from the USA. Please contact with any enquiries, if you are selling let us know we also buy used parts ex USA for home builds and customers with old kit bikes.